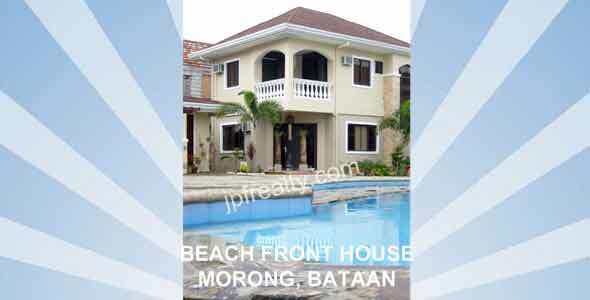 houses & lot > homes with swimming pool > lot > residential lot > Commercial lot > Commercial buildings > Commercial stalls > town houses > bachelor’s pad > duplex > dormitories > lot feasible for subdivision > memorial park > gasoline station > factories > apartments > agricultural lot > industrial lot > farm lot > piggery buildings > poultry buildings > beachfront houses > beachfront lot > resorts > condominium > for rent > in cash, easy installment terms and bank financing scheme! 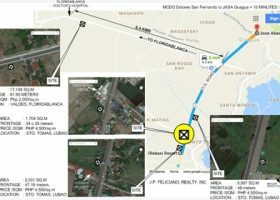 BELLISSIMA – Lot for sale in Bellissima city of San Fernando Pampanga Philippines. Bellissima is a first class subdivision within the boundaries of Angeles City Pampanga Philippines and City of San Fernando Pampanga Philippines. THE LAKESHORE – Lot and House & lot for sale in THE LAKESORE Mexico Pampanga Philippines. The Lakeshore is made of 12 hectares man-made lake. ESSEL PARK – Lot and House & lot for sale in ESSEL PARK Angeles City & San Fernando Pampanga Philippines. PUNTA VERDE – Lot, House & lot for sale in PUNTA VERDE Angeles City , Pampanga Philippines. Punta Verde now offers commercial lot, vacant lot and houses & lot up to 10 years to pay! PULU AMSIC – Lot for sale in PULU AMSIC, Angeles City Pampanga Philippines. HACIENDA ROYALE – Lot and House & Lot for sale in HACIENDA ROYALE City of San Fernando Pampanga Philippines Hacienda Royale has Oriental style gate and Japanese inspired club house. FLORIDA RESIDENCES – Houses for sale in FLORIDA RESIDENCES City of San Fernando Pampanga Philippines. FLORIDA RESIDENCES offers easy installment terms of American- style houses. VILLAGGIO REAL – Lot for sale in VILLAGGIO REAL City of San Fernando Pampanga Philippines. Villaggio Real is a first class subdivision within the boundaries of Angeles City Pampanga Philippines and City of San Fernando Pampanga Philippines. SUNSET ESTATE – Lot and House & lot for sale in SUNSET ESTATE Angeles City Philippines. SUNSET SIGNATURE HOMES – Town houses for sale in SUNSET SIGNATURE HOMES Angeles City Pampanga Philippines. HOLY ANGEL VILLAGE – Lot and House & Lot for sale in HOLY ANGEL VILLAGE City of San Fernando Pampanga Philippines. VILLA BELEN SOUTH – Lot for sale in VILLA BELEN Angeles City Pampanga Philippines. BRENTWOOD VILLAGE – Lot and House & Lot for sale in BRENTWOOD VILLAGE Mabalacat Pampanga Philippines. Brentwood Village is near Clark Special Economic Zone ( CSEZ ) Balibago Angeles City Pampanga and SM Clark Balibago, Angeles City Pampanga Philippines. BUENAVISTA SUBDIVISION – Lot and House & lot for sale in BRENTWOOD VILLAGE Mabalacat Pampanga Philippines. CIUDAD DE HIZON – Lot for sale in CIUDAD DE HIZON City of San Fernando Pampanga Philippines. DIZON ESTATE – Lot for sale in DIZON ESTATE City of San Fernando Pampanga Philippines. GREENFIELDS EXECUTIVE HOMES – Lot and House & lot for sale in GREENFIELDS EXECUTIVE HOMES San Fernando Pampanga Philippines. FRIENDSHIP PLAZA – Lot for sale in FRIENDSHIP PLAZA Angeles City Pampanga Philippines. Friendship Plaza near Clark Special Economic Zone ( CSEZ ) Balibago Angeles City Pampanga and SM Clark Balibago, Angeles City Pampanga. CLARK MANOR RESIDENTIAL ESTATE – Lot for sale in CLARK MANOR RESIDENTIAL ESTATE Dau Mabalacat Pampanga Philippines. Clark Manor offers affordable lot in easy installment terms. HERITAGE PLACE – Lot and House & lot for sale in HERITAGE PLACE Angeles City Pampanga Philippines. TOWN & COUNTRY HOMES – Lot for sale in TOWN & COUNTRY HOMES Angeles City and San Fernando Pampanga Philippines. LIVING ROCK HOMES – Houses and Town houses for sale in LIVING ROCK HOMES City of San Fernando Pampanga Philippines. METROGATE ANGELES – Lot and House & lot for sale in METROGATE ANGELES Angeles City Pampanga Philippines. Metrogate Angeles, in Capaya & Mining Angeles City Pampanga Philippines offers one of the cheapest lot and houses & lot in Angeles City Pampanga Philippines. NORTHWOODS – Lot for sale in NORTHWOODS City of San Fernando Pampanga Philippines. Northwoods Expansion is now open for sale! TIMOG PARK – Lot and House & lot for sale in TIMOG PARK Angeles City Pampanga Philippines. WATERSTONE VILLAS – Town houses for sale in WATERSTONE VILLAS Angeles City Pampanga Philippines. TRINIDAD VILLAGE – Lot & Commercial lot for sale in TRINIDAD VILLAGE Angeles City Pampanga Philippines. ROSEWOOD PARK HOMES – Lot and House & lot for sale in ROSEWOOD PARK HOMES Angeles City Pampanga Philippines. FOREST PARK HOMES – Lot and House & lot for sale in FOREST PARK HOMES Angeles City Pampanga Philippines. 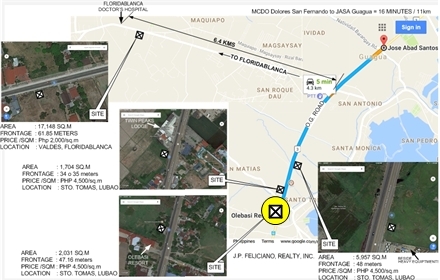 MIRADA DOS – Lot for sale in MIRADA DOS City of San Fernando Pampanga Philippines. FERNWOOD – Lot for sale in FERNWOOD Mabalacat Pampanga Philippines. ST. KOLBE – Lot for sale in ST. KOLBE City of San Fernando Pampanga Philippines. St. Kolbe Phase is near Mt. Carmel Medical Center San Fernando Pampanga. DON BOSCO COMPOUND – Lot for sale in DON BOSCO COMPOUND Mabalacat Pampanga Philippines. 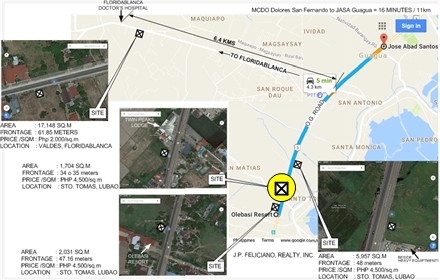 VILLA DEL SOL – Lot for sale in VILLA DEL SOL City of San Fernando Pampanga Philippines. VILLA DOLORES – Lot for sale in VILLA DOLORES Angeles City Pampanga Philippines. GOLDEN ESTATE – Lot for sale in GOLDEN ESTATE Mexico Pampanga Philippines. HAMPTON ORCHARDS – Lot for sale in HAMPTON ORCHARDS Bacolor Pampanga Philippines. CLAREMONT – Lot for sale in CLAREMONT Mabalacat Pampanga Philippines. MARQUEE PLACE – Lot and House & lot for sale in MARQUEE PLACE (Ayala Land) Magalang Road Angeles City Pampanga Philippines. 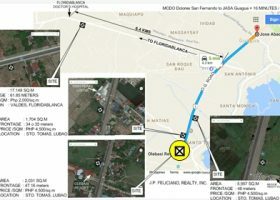 MONTENEGRO ESTATE – Lot and House & lot for sale in MONTENEGRO ESTATE Along Fil-Am Friendship Hi-way Angeles City Pampanga Philippines. VERDE ROYALE – Lot for sale in VERDE ROYALE Mauaque and Sapang Bayabas, Mabalacat Pampanga Philippines. ROCKWOOD HOMES – House for sale in ROCKWOOD HOMES city of San Fernando Pampanga Philippines. LA TERRAZA – Lot and House for sale in LA TERRAZA Angeles City Pampanga Philippines. LEONCIA VILLE – Townhouse/duplex for sale in LEONCIA VILLE fil-am friendship anunas, near clark, Angeles City, Pampanga Philippines. FIESTA COMMUNITIES PORAC – Townhomes, townhouse for sale in Fiesta Communities in Porac Pampanga, Philippines. FIESTA COMMUNITIES MABALACAT – Townhomes, townhouse , duplex for sale in Fiesta Communities in Mabalacat Pampanga, Philippines. SYSCO – House and lot for sale in SYSCO Angeles City Pampanga. Located in various locations such as Punta Verde Angeles City Pampanga, Villa del Sol City of Pampanga, The Lakeshore Mexico Pampanga and Bulacan Pampanga Philippines. VILLA TERESA – Lot and House & lot for sale in VILLA TERESA Angeles City Pampanga Philippines. VILLA GLORIA – Lot and House & lot for sale in VILLA GLORIA Angeles City Pampanga Philippines. VILLA ANGELA – Lot and House & lot for sale in VILLA ANGELA Angeles City Pampanga Philippines. 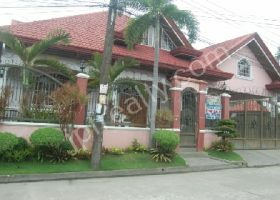 VILLA ANGELINA – Lot and House & lot for sale in VILLA ANGELINA Angeles City Pampanga Philippines. DIAMOND SUBDIVISION – Lot and House & lot for sale in DIAMOND SUBDIVISION Angeles City Pampanga Philippines. CARMENVILLE – Lot and House & lot for sale in CARMENVILLE Angeles City Pampanga Philippines. Carmenville is only a few minutes away from SM Clark Balibago Angeles City Pampanga Philippines and Clark Special Economic Zone ( CSEZ ) Balibago, Angeles City Pampanga Philippines. L&S – Lot and House & lot for sale in L&S Angeles City Pampanga Philippines. SUNSET ESTATE – Lot and House & lot for sale in SUNSET ESTATE Angeles City Pampanga Philippines. SUNSET VALLEY MANSIONS – Lot and House & lot for sale in SUNSET VALLEY MANSION Angeles City Pampanga Philippines. PARADISE MANSIONS – Lot and House & lot for sale in PARADISE MANSION, Los Angeles City Pampanga Philippines. HACIENDA ROYALE – Lot and House & lot for sale in HACIENDA ROYALE City of San Fernando Pampanga. SANTA MARIA VILLAGE– Lot and House & lot for sale in SANTA MARIA VILLAGE Angeles City Pampanga Philippines. 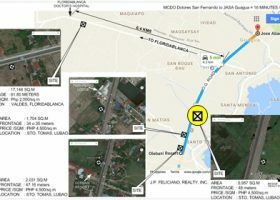 RICH TOWN – Lot and House & lot for sale in RICH TOWN City of San Fernando Pampanga Philippines. CLARKVIEW – Lot and House & lot for sale in CLARKVIEW, Los Angeles City Pampanga Philippines. JOSEFAVILLE – Lot and House & lot for sale in JOSEFAVILLA, Los Angeles City Pampanga Philippines. Pampanga, near CLARK AIR BASE City of Angeles,. Philippines. RITZVILLE – Condominiums for sale in RITZVILLE, CLARK AIR BASE City of Angeles,Pampanga Philippines. V. Beachfront houses, Resorts, etc. 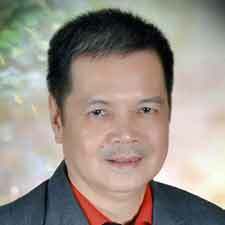 We are happy with the services of J.P. Feliciano Realty, Inc.. They have been our reliable realty firm that assures correct documentations for BIR and Registry of Deeds are well taken care of.